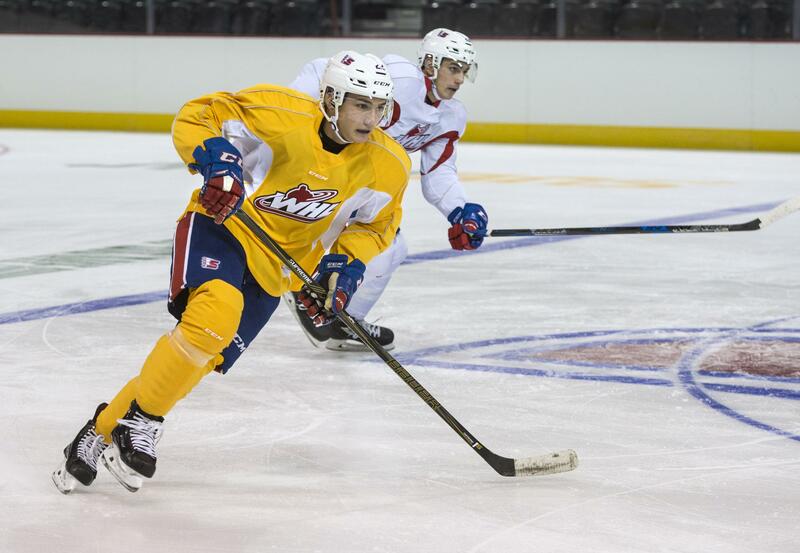 Fri., Aug. 17, 2018, 4:52 p.m.
Spokane Chiefs forward Luke Toporowski will participate in the 2018 USA Hockey All-American Prospects Game in September, as announced by USA Hockey on Friday. The event will be played Sept. 19 at Xcel Energy Center in St. Paul, Minnesota. Toporowski is one of 42 players from across the country selected to compete. The event is held each September and serves as a showcase for the top American-born NHL Draft-eligible talent. To date, 74 past participants have been selected in the NHL Draft, including 15 who were first-round picks. Toporowski will become the second Chiefs player to participate following Kailer Yamamoto, who played in the fifth edition in 2016. Yamamoto was a first-round selection, 22nd overall, by the Edmonton Oilers in the 2017 NHL Draft. Toporowski’s selection comes on the heels of a fourth-place finish with Team USA at the 2018 Hlinka-Gretzky Cup, where he tied for the team lead with four goals in six games. The 17-year-old has had an active offseason after recording 10 goals and 13 assists during the 2017-18 season. Published: Aug. 17, 2018, 4:52 p.m.